WHAT IS PEKITI TIRSIA KALI ? 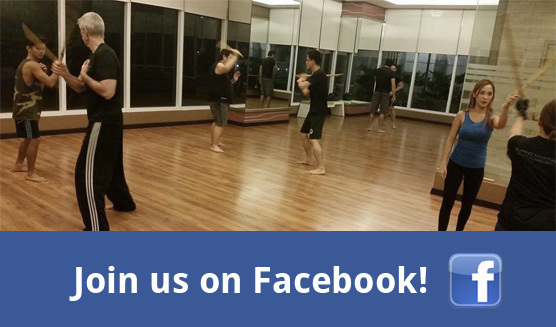 Pekiti Tirsia can be loosely translated as “to close in and cut into small pieces.” Kali is the indigenous blade-based martial art of the Philippines. It is recognized around the world for its deadly, efficient, yet graceful close quarters combat techniques. The system was closely guarded and developed by the Tortal clan of Panay and Negros Occidental. The patriarch of the family, Conrado B. Tortal passed on his knowledge to his grandson, Grandtuhon Leo Tortal Gaje Jr., who is the present guardian and grandmaster of PTK. Pekiti Tirsia Kali today is practised by law enforcement and military, as well as civilian enthusiasts of reality based martial arts training and effective self defense system. 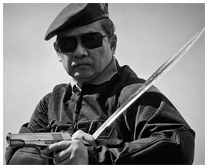 Grandtuhon Leo Gaje Jr., or “GT” as many of his students call him, broke from the tradition of keeping the system within his bloodline when he began to teach Pekiti Tirsia Kali in New York in the 1970’s. Among his first students were Tom Bisio, William McGrath, Omar Hakim, and Philip Gelinas. Leo Gaje was the first to introduce full contact stick sparring in the United States and toured around the country with the likes of Dan Inosanto, student of legendary Bruce Lee, when Western interest in Asian martial arts was in its heyday. The art of kali has been gaining appeal in pop culture as the main fighting style in hit Hollywood movies such as the Bourne Trilogy, Book of Eli, 300, and the Hunted.